Last week we sent out the flying monkeys, and they didn’t disappoint. The second they took to the skies the news of Aretha Franklin’s impending death was sent to Dead Pool Towers. We were hoping to lead with the story of her illness, however she didn’t last the week. What is most surprising, none of you listed her. NOBODY!!!! If you only knew how much it costs to feed these flying monkeys and keep their wings supple with Nivea Cream, you’d try harder! Anyhow, a short newsletter this week, the news was slightly overrun by Ms Franklin’s death to notice anyone else. Jill Janus, 42, American rock and roll singer (Huntress), suicide. Aretha Franklin, 76, American Hall of Fame soul singer (“Respect”, “Chain of Fools”, “A Natural Woman”), pianist and songwriter, pancreatic cancer. Sir Peter Tapsell, 88, British politician, MP (1959–1964, 1966–2015) and Father of the House of Commons (2010–2015). Kofi Annan, 80, Ghanaian diplomat, Secretary-General of the United Nations (1997–2006), Nobel Prize laureate (2001). Tesla shares have plunged after founder Elon Musk revealed to the New York Times he works “120 hour weeks” and takes sedatives. In the interview, Mr Musk also said he was not “on weed” when he controversially tweeted about taking the company private. “This past year has been the most difficult and painful year of my career,” he said. “It was excruciating.” At times during the interview he stopped speaking, seemingly overcome by emotion – and that he spent the full 24 hours of his birthday on 28th June working. “All night – no friends, nothing,” he said. Mr Musk also said that he took the sedative Ambien to help him sleep when he was not working: “It is often a choice of no sleep, or Ambien.” According to the paper, his use of the drug has concerned some board members. Just goes to show, money doesn’t make you happy and that Rosanne was right, Ambien does turn you into a knob. Whitney Houston was found dead in a bathtub in 2012 — and three years later, her daughter died in tragically similar circumstances. Now another death is a final tragic twist. 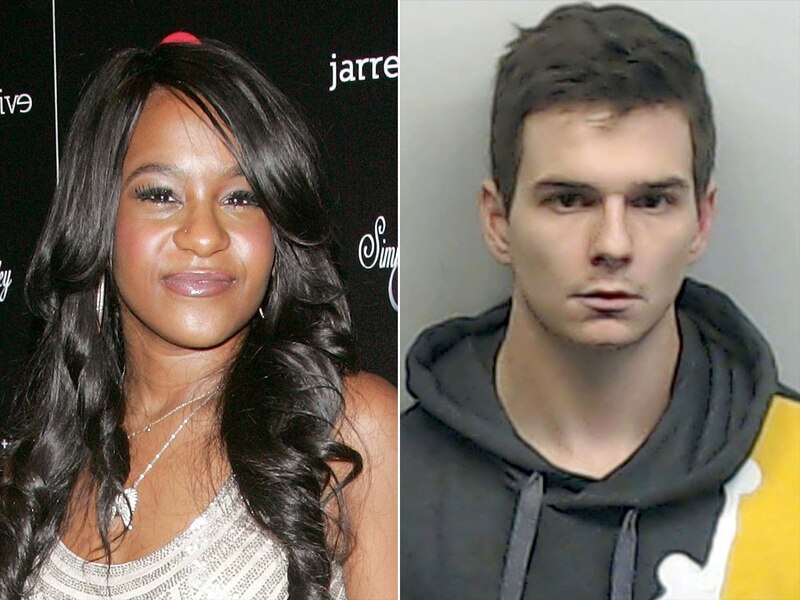 The friend who discovered Whitney Houston’s daughter Bobbi Kristina Brown in her bathtub has died of an apparent drug overdose. Max Lomas was discovered unconscious in a friend’s bathroom with a syringe near his body after his pal grew concerned when he didn’t come out for a long time. Lomas was reportedly rushed to a nearby Mississippi hospital, where he later passed away. Lomas was the one who pulled Brown out of the bathtub and administered CPR with her partner, Nick Gordon, until help arrived. No charges were ever filed against Lomas, though Brown’s family won a $36 million wrongful death civil suit against Gordon for her death. Perhaps we should put Gordon up as a Maverick, everyone he comes into contact with dies, maybe it’s his turn next! 1612 – The “Samlesbury witches”, three women from the Lancashire village of Samlesbury, England, are put on trial, accused of practicing witchcraft, one of the most famous witch trials in British history. 1839 – The French government announces that Louis Daguerre’s photographic process is a gift “free to the world” This is the day that the selfie was born. 1987 – Hungerford massacre: In the United Kingdom, Michael Ryan kills sixteen people with a semi-automatic rifle and then commits suicide. Robert Redford (82), Edward Norton (49), Christian Slater (49), Madeleine Stowe (60), Roman Polanski (85), Denis Leary (61), Robert De Niro (75), Sean Penn (58), Donnie Wahlberg (49), Belinda Carlisle (60), Steve Carell (56), James Cameron (64), Julie Newmar (85), Evanna Lynch (27), Madonna (60), Jennifer Lawrence (28), Ben Affleck (46), Natasha Henstridge (44), Debra Messing (50), Jim Dale (83), Tony Robinson (72), Mila Kunis (35), Halle Berry (52), Steve Martin (73), Joseph Marcell (70) and Sarah Brightman (58). This entry was posted on 19th August 2018 by kingofankh. It was filed under 2018 .